Since July 1999 when Jiang Zemin set off the persecution of Falun Gong, Zhang Gaoli closely followed Jiang's genocidal policy against Falun Gong, which is to “ruin their reputation, bankrupt them financially, and eliminate them physically.” Zhang Gaoli did his utmost to carry out the persecution in Guangdong province, Shenzhen, Shandong province and Tianjin, causing tens of thousands of Falun Gong practitioners in these areas to be illegally kidnapped, detained, and sentenced. Massive number of Falun Gong practitioners are tortured, resulting in injury, disability and death. Zhang is suspected of committing the Crime of Genocide, the Crime of Torture and Crimes against Humanity. As Zhang has committed extremely serious crimes of persecuting Falun Gong, he is one of the criminals with grave crimes. WOIPFG therefore issues this notice of investigation to thoroughly investigate Zhang's crimes in the persecution of Falun Gong. We call upon those who possess evidence of Zhang Gaoli’s crimes to contact WOIPFG immediately. The following is partial evidence of Zhang Gaoli’s involvement in the persecution. During the peak of the persecution from 2001 to 2007, Zhang was the Deputy Secretary, Secretary of Shandong Provincial CCP Committee, and the Governor of Shandong Province. Through his public appearances and speech, Zhang blatantly attacked Falun Gong and ordered the persecution to be intensified. Shandong province became one of the regions where Falun Gong was most severely persecuted. 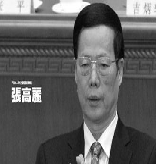 On March 21, 2002, as the Governor, Zhang Gaoli gave a speech at the Fifth Session of the Ninth National People's Congress of Shandong Province, labeling the crackdown on Falun Gong the way to solidify political and social stability. On December 8, 2002, while visiting Shandong Provincial Public Security Bureau and the Provincial Bureau for Letters and Visits, Zhang Gaoli emphasized that in the struggle against Falun Gong, one must attack firmly, keep the high pressure, and never let up. On June 4, 2003, during his speech at the Shandong provincial work conference, he put “firmly attacking Falun Gong” as the focus of “creating stable and harmonious social environment”. In January 2004, Shandong Provincial CCP Committee and Provincial Government issued “Decision to build a safe Shandong,” in which attacking Falun Gong was the top priority. Throughout 2004, Zhang Gaoli reiterated the “Decision” 45 times. As of 2004, based on incomplete statistics,the number of Falun Gong practitioners persecuted to death in Shandong Province ranked the third in the entire China. Taking the prefecture-level city of Weifang for example, during the first ten years of the persecution, the number of practitioners persecuted to death was 95 and the period of 2001-2005 was the peak. This makes Weifang the prefecture-level city with the most number of death in the country. Being the governor of Shandong Province, Zhang Gaoli must be held accountable for the crimes. The CCP’s live organ harvesting of Falun Gong practitioners has been exposed internationally. A number of transplant centers, including Qianfoshan Hospital in Shandong and Tianjin No. 1 Central Hospital, are suspected of live organ harvesting in large numbers. In July 2010, Zhang Gaoli visited Tianjin No.1 Central Hospital and encouraged them to “continue to advance organ transplantation.” For that year alone, the numbers of liver transplants conducted by Tianjin No.1 Central Hospital accounted for 1/3 of the nation’s total. WOIPFG will continue to investigate the criminal conduct of all institutions, organizations, and individuals involved in the persecution of Falun Gong, to bring such investigations, no matter how long it takes, no matter how far and deep we have to search, to full closure, to exercise fundamental principles of humanity, and to restore and uphold justice in society.